Sold by MediaWarehouseUSA and Fulfilled by Amazon. Comment: Excellent Condition, all disks included and play, booklet little to no wear. Ships direct from Amazon! Sold by MediaWarehouseUSA and ships from Amazon Fulfillment. Stream The Remix by Lady Gaga and tens of millions of other songs on all your devices with Amazon Music Unlimited. Exclusive discount for Prime members. 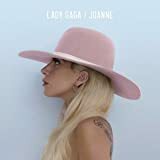 If you're a die-hard Lady Gaga fan, you'll probably want this disc for your collection, and if you're a casual fan, it's an inexpensive album to jam to on occasion, so why not buy it? That being said, though, it's definitely not a must-have. The concept itself for a Gaga remix album is a good one, but I have no idea why these particular mixes were the ones chosen. 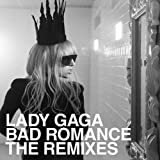 There are FAR SUPERIOR remixes that were unfortunately left off, such as the Demolition Crew remix of "Paparazzi" and the Robots to Mars remix of "Lovegame." There are a few gems on here, however. The Stuart Price remix of "Paparazzi" is a good one as it features different studio vocals. Also, the Sound of Arrows remix of "Alejandro" is an interesting softer version of the original we all know and love. 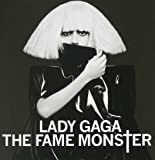 Not to mention, to my knowledge, the remixes of "Eh Eh," "The Fame," and "Dance in the Dark" have not been available in the U.S. before this release, which is a definite plus. I was also disappointed in the packaging. There are no photographs at all in the booklet besides the cover, and there aren't any liner notes besides a re-listing of the tracks with their respective producers. It's somewhat shabby for a Gaga release, but you get what you pay for. All-in-all, this isn't really a disc that one would miss very much by not purchasing it, but it is still a good one to own for the few decent tracks that are on it. The Remix, is okay. I'm not going gaga over it, though. I was expecting more. Lovegame and Dance In The Dark, are the best out of the ten remixed titles. Like one reviewer on Amazon mentioned, there are better remixes on youtube. I think there should have been a definitive remix release. The collection seems limited in scope. Not at all what I expected. These mixes are, in my opinion, awful. There's no imagination used in the mixing. 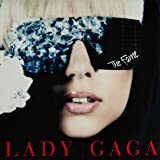 I've loved mixes of various artists for many years now and was excited to see Lady Gaga ones. However, this CD left me extremely disappointed. Stick with the originals on this one - the mixes aren't worth a dime! Lady Gaga's best hits remixed to perfection. All Mother Monster fan's should have this remixed cd. It's definitely hopp'in!! !